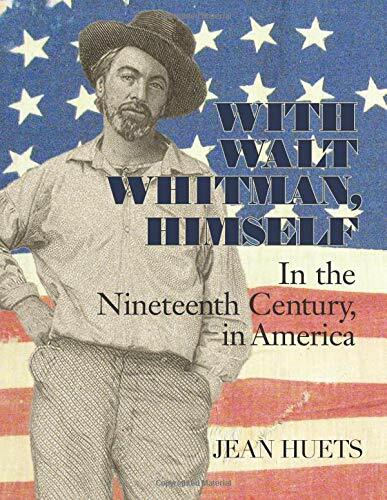 Jean Huets has compiled and written a book about Walt Whitman which puts him in context. With Walt Whitman Himself In the Nineteenth Century, in America is 8 1/2 by 11 inches in dimension and is beautifully illustrated with images Huets obtained through the Library of Congress, the Smithsonian Institution and other sources. She has done an immense amount of research to show America’s bard in his own time. Photographs, nineteenth century American landscape paintings, handwritten excerpts from Whitman’s notebooks, quotations from his poetry and from his contemporaries’ writing make the book reader-friendly. Walt Whitman (1819-1893) was an innovator in both style and content, writing unrhymed poetry with cadence, vivid language and great energy. He has been called “the poet of democracy” because he described and praised ordinary working people whose vigor and zest for life were building a new country. His poetry is also famous for its celebration of the body, and when his major work, Leaves of Grass, was published, some called it obscene. At eleven, Whitman’s formal schooling ended, and he became an office boy for two two lawyers. Apprenticed to a printer at fifteen, he was soon writing for the many New York newspapers of those days. A financial crisis, the “Panic of 1837” sent him back to his family on Long Island for a brief teaching career. He returned to journalism and wrote poetry, self-publishing his first collection, Leaves of Grass, in 1855. In 1862, he left New York for Washington, where he worked for the government paymaster and volunteered as a nurse to the Civil War wounded in the army hospitals. By the time he retired from the government in 1872, he was internationally famous. 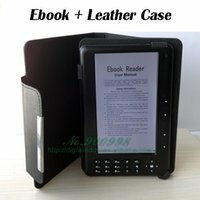 Struggling with ill health, he continued writing until his death in 1892. Huets’ book is magazine-like, with each page featuring illustrations, captions, blocks of text and quotations from Whitman’s poems. Chapter Three, for example, includes quotes from Whitman’s prose work, Specimen Days; maps; 19th century paintings of Long Island and Brooklyn; information about the Brooklyn Navy Yard where Whitman’s father worked until he returned to farming: and information about baseball, which was already popular in Brooklyn before it became a national sport during the Civil War. In her Preface, Jean Huets says that this book is “not a biography of Walt Whitman nor a critique or analysis of his prose or poetry.” Rather, her aim is to “answer his call and be with him in the places and events and experiences that inspired and informed him and Leaves of Grass. Unfortunately, sometimes the history of his century overpowers Whitman’s life story. An attractive book full of colourful pictures should be ideal for Whitman beginners, but it would be best to read first a biographical article about his life and work. Although Huets includes brief biographies of some of Whitman’s male friends, and mentions his “intense and enduring romantic friendship” with a street car conductor, Pete Doyle, she hesitates to say that he may have been sexually active with men. She notes, for instance, that when the English writer John Addington Symes asked him if his view of “comradeship” among men included sexual acts, Whitman wrote back indignantly denying it. His denial, however, may have stemmed from awareness that certain sexual practises were capital crimes in some American states. Also, as the century continued, some behaviours were deemed pathological by an increasingly professionalized medical establishment. Signing for Soul and Body, set them to my name. Jean Huets has researched, written and published an outstanding account of Whitman’s life and times. Published in the 200th anniverary year of his birth, this tribute to a great American writer should be in every U.S. library. About the reviewer: Grace in Love (Ottawa, Baico, 2018, info@baico.ca) is Ruth Latta’s most recent historical novel.